How dare you guys take away hip checking for hybrid control users!!!! ADD THIS BACK!!! The button is R3 for hipchecks in NHL 17 for hybrids, WHY REMOVE IT?!? Also, any reason why pokecheck was moved from X to RB on the XB1? Why not just keep it the same? It was fine in Nhl17! It was actually done to give hybrid control Users more functionality. For Hybrid to get full control of the Defensive Skill Stick, the controls were unified. That meant that poke had to move to RB so that ergonomically, you could move the right stick at the same time for manual control. The new controls also meant that we then had to update the controls for chop which is now R3, then a flick of the RS in the direction you want to chop the puck. And that is why hip check is now R3 + LB. Can someone please summarize all of the Hybrid controls changes from 17 to 18? I still prefer Hybrid controls and l haven't had a chance to play the beta. Serious question: when will the NHL series just let us set up the controls how we want them? This new Mortal Kombat control scheme is gross. At least previous systems actually made you manipulate the stick similar to the desired outcome. Also, the reliance on R3 as an integral button for basically any action is horrible, HORRIBLE game design. There's a reason it's rarely touched by other devs. Thanks for the answer to my question above (although I am not happy about it lol). 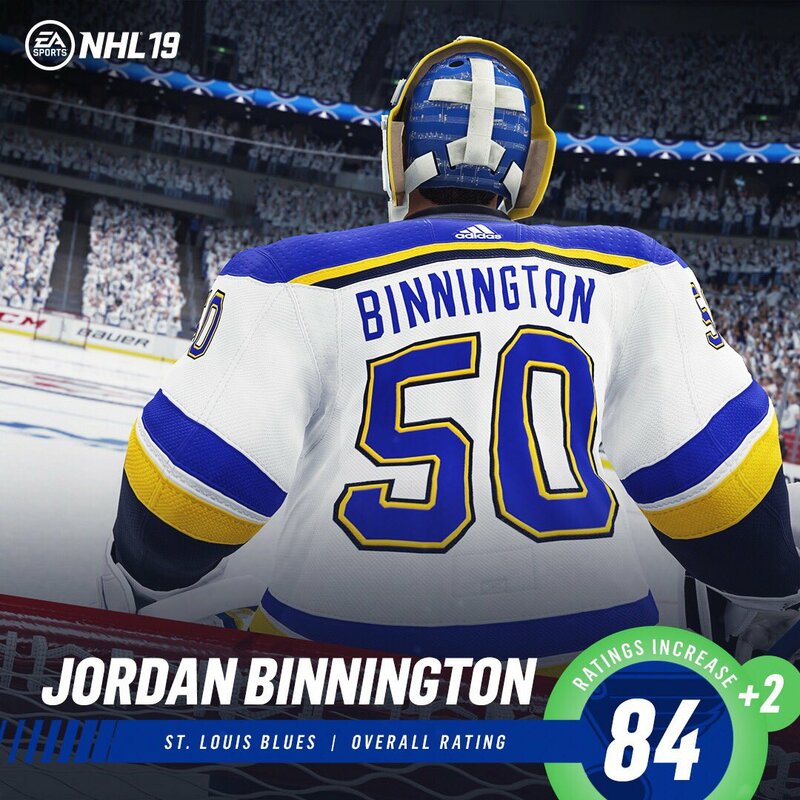 I really think it is about time NHL had the option for fully customizable button mapping, or at the very least, give the user the option to select from a decent sized list of pre-set button mappings (rather than just the default three options), including the option to go back to a mapping from an earlier edition. For me, I just really like how the NHL 17 buttons are mapped in the hybrid set up, so I'd prefer if I could continue that in NHL 18. Too much to ask? While you are at it. Ask the FIFA, NBA, Madden, and about every other console game out there for letting us map things how we want. I might just do that, and also ask if we can develop all games in their entirety. Only fair. The guy gave you a reasonable explanation why. Learn the new button instead of throwing your $$$ b_s all over...Or be true and stop buying. Nah...easier to cry, right? Can people just learn new things? Evolve. Adapt. Get better at everything in life! I think it´s hard to do the Hip-check with the R3 + LB, makes more sense if having it like R3 + RB or change the chop thing to the R3 + LB and leave the Hip-check as it was with only R3. Problem for me when playing defence, is that I use the LT moving backwards when trying to land a Hip-check and it get a bit tricky. Or let us players have the ability to change it by ourself. @NHLDev why is it you come in here, where the people who dedicate money and time to buy this product from EA , post legitimate issues and concerns with the game and where this franchise is heading, as evident from the trend of posts from the past several years, and you come in here , see all these post with concerns,comments and questions, and you close your eyes and pick one out of the Numerous amounts requesting your attention and answer about a hip check button being moved?? i'm not diminishing the question the poster had , but you @NHLDev , along with EA should be completely ashamed of your customer services representation. i think i speak for all here when i say your game needs major attention and last but not least , undivided committed communication with your consumers. I'm all for learning new things, like for example how to play a game. However I also want to be comfortable playing that game and use the control scheme I want. No reason to not have full customization of the controls. There really isn't. Yes obviously you can't put skating and stick controls on anything but the joystick but you should be able to pick which one you want to use for each and also what you want to do with any other buttons and if you want to have a combo press to do a specific action. PC has it, why not consoles? Yea I hear you my point is why do people choose to use such an inferior control scheme based on the options we have? Just learn. EA. When are you going to put tactic and linechange to hybrid? This gives quite advantage to skill stick. @Santini3 That was hard to read, you put your new message in somehow quoting me. Yea, I always just sucked it up and learned the new controls/skating/whatever it was that had changed to become a more effective player. Except goal scoring, I was never good at that. Pretty sure my VS gf was 1.5 and ga was ~.75-.9 or something. Learn and adapt, but always fight for more options! From the sounds of what a lot of people are saying though the game since next gen is kinda lackluster. I've been playing NHL 18 today on the PS4 and there is no hip check button when using hybrid controls. Am I doing something wrong? Time to change to Skill stick...? It won't take long to get used to.